The Society of American Foresters (SAF) annually awards the W.D. Hagenstein Communicator Award to an SAF member who leads innovative and exemplary communications initiatives and programs that increase the general public's understanding of forestry and natural resources. 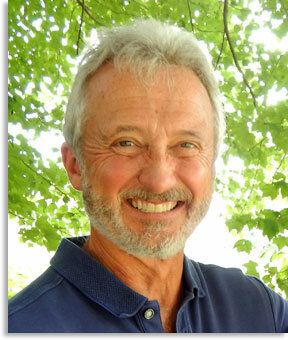 The 2016 award and honorarium will be presented to Mark Vodak 3 November, 2016 at the 2016 SAF National Convention in Madison, WI, 2-6, November. The Award recognizes Vodak's forestry extension efforts targeting landowners, homeowners, and the general public. Partnering with the NJ Forestry Association and the NJ Forest Service, he developed, established, and promoted the NJ Woodland Stewards Program, a four-day-three-night 'mini-forest management course' which has graduated 65 volunteers in 5 years who are now spreading the forestry message across the state; lead a team of dedicated professionals in creating and establishing the incredibly successful 'Backyard Forestry in 90 Minutes' program, that has conducted twenty-two 90-minute programs attended by 657 participants, including a significant number of Master Gardeners, a non-traditional target audience for forestry; and was lead author for "My Healthy Woods" (PDF), a book funded by the US Forest Service, modeled on a format by the Aldo Leopold Foundation, promoting forest stewardship for landowners. Almost all of the initial 6,000-copy printing was distributed within six months of publication. SAF's 2016 W. D. Hagenstein Communicator Award recognizes the value of Vodak's efforts to target the message of forestry and stewardship to both landowners and the general public in New Jersey.